Investment Archives - Page 2 of 17 - Solar Love! 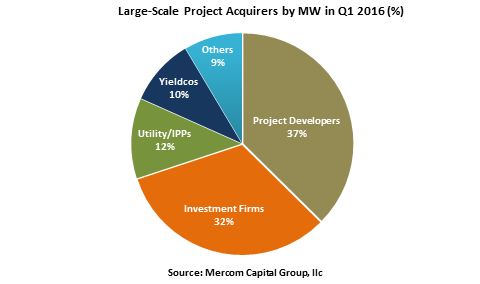 A new solar power fact sheet and report were recently published by the Mercom Capital Group, a cleantech communications and research firm. Some of the key findings showed decreases in solar power funding, but there were some good signs too. Total corporate funding decreased to $1.7 billion for the second quarter, compared to the figure for the previous quarter, which was $2.8 billion. 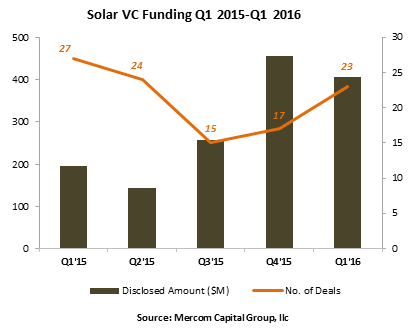 Global solar venture capital funding declined to $174 million compared with the figure from the previous quarter, which was $406 million. Announced debt financing was $1.3 billion in the second quarter, but it was $2.3 billion in the previous one, and $3.4 billion for the same quarter last year. For residential and commercial solar funds, there were $1.36 billion in the second quarter versus $1 billion for the previous one. Leaders in this area were SolarCity, Mosaic, and Sunnova Energy. 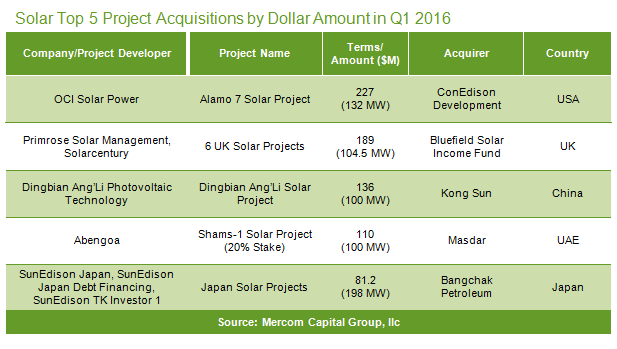 For the second quarter, there were 38 large-scale solar project acquisitions worth $1.9 billion. The value of the same kind was $1.2 billion for the previous quarter. Ukraine is considering a daring new plan to transition to solar power. Thirty years after the worst nuclear accident in history, Chernobyl still strikes fear into the hearts of many. Today, the land around the crippled nuclear power plant — which will remain dangerously radioactive for centuries — is a wasteland unsuitable for human habitation or agriculture. Japan’s telecom group Softbank intends to expand its diversification in the solar power sector and offer engineering, procurement and construction services through a new Joint Venture (JV) with Sharp Corporation. Both the Japanese firms are expected to form a joint venture in December with an estimated capital of around USD $1 million. SoftBank’s SB Energy, a wholly-owned subsidiary of Softbank, would be the majority stakeholder in the JV. The partners also plan to offer operation and maintenance services for the solar power projects. Initially, O&M services will be offered to the SoftBank’s existing solar power projects and later services will be extended to other solar projects as well. According to SB Energy spokesman Kenichi Yuasa, JV will source the service and logistics of both the firms directly to cut installation costs by 10% and maintenance costs by 30%. The joint venture company will offer maintenance and inspection services using information technologies for remote, centralized monitoring of multiple power plants. SoftBank currently operates solar projects in more than 30 locations worldwide. The company is steadily increasing its footprint in the emerging Asian market. Recently, it floated a new company – SBJ Cleantech – with Foxconn and India’s Bharti Enterprises. SBJ Cleantech will invest $20 billion in the Indian solar power market with an aim to install at least 20 GW capacity. This partnership will probably help Sharp revive its ailing solar module manufacturing business. Sharp, which has been developing solar panels since 1959, stopped manufacturing panels at plants in the US and UK last year. The company had posted a loss at its business in the first quarter of 2015 as sales dropped by almost half.